Refugee & Migrant Talent is an online platform where companies can easily find highly skilled diverse talent and offer a range of employment opportuni>es. They have refugees & migrants on their platform with a range of skills from Accounting, Banking & Finance, HR, Marketing, IT, Sales and Design. More than 250 companies are working with Refugee & Migrant Talent nationally from government departments, corporates, SME’s and start-ups. Refugee & Migrant Talent also have the potential to hire refugee candidates internationally with their partnership with Talent Beyond Boundaries (TBB). 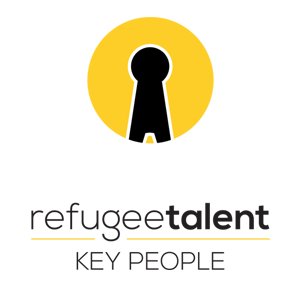 Companies in Australia using the Refugee Talent platform can hire highly skilled refugees from a refugee camp in Jordan and Lebanon. The pilot is the first of its kind anywhere in the world.